Michael R. Baye & Jeffrey T. Prince, Managerial Economics and Business Strategy, 9th Edition. McGraw-Hill, 2017. Michael R. Baye & John Morgan (eds. 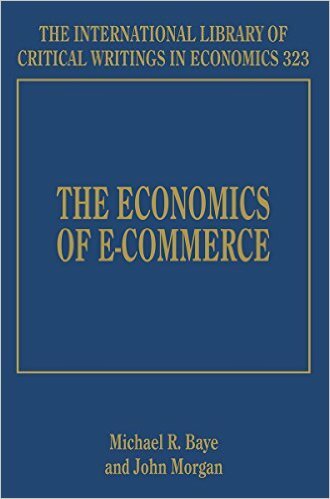 ), The Economics of E-Commerce , Edward Elgar, 2016. 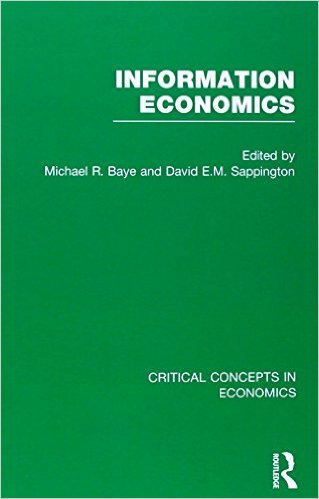 Michael R. Baye & David E. M. Sappington (eds. ), Information Economics , Volumes 1-4. New York: Routledge, 2014. 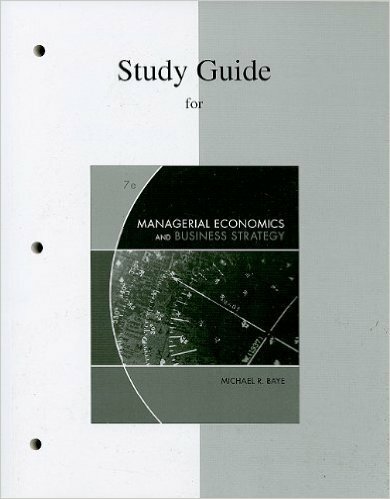 Michael R. Baye & Jeffrey T. Prince, Study Guide for Managerial Economics and Business Strategy, 8th Edition. McGraw-Hill, 2014. Michael R. Baye, Managerial Economics and Business Strategy, 7th Edition. McGraw-Hill, 2010. 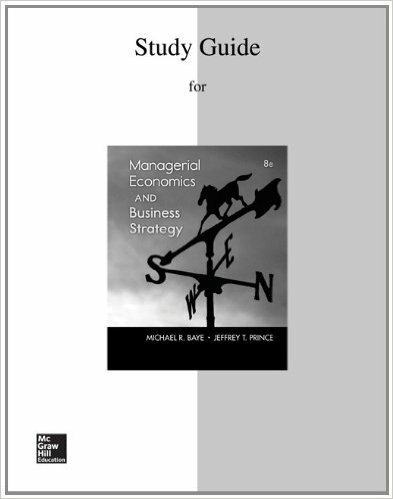 Michael R. Baye, Student Workbook for Managerial Economics and Business Strategy, 7th Edition. McGraw-Hill, 2010. Michael R. Baye (ed. ), Advances in Applied Microeconomics: Organizing the New Industrial Economy. Amsterdam: Elsevier/JAI Press, 2003. Michael R. Baye (ed. ), Advances in Applied Microeconomics: The Economics of the Internet and E-Commerce. Amsterdam: Elsevier/JAI Press, 2002. Michael R. Baye and Jon P. Nelson (eds. ),Advances in Applied Microeconomics: Advertising and Differentiated Products. Amsterdam: Elsevier/JAI Press, 2001. Michael R. Baye (ed. ), Advances in Applied Microeconomics: Industrial Organization. Amsterdam: Elsevier/JAI Press, 2000. Michael R. Baye (ed. ), Advances in Applied Microeconomics: Oligopoly. Greenwich: JAI Press, 1999. Michael R. Baye (ed. ), Advances in Applied Microeconomics: Contests. Greenwich: JAI Press, 1998. Michael R. Baye (ed. ), Advances in Applied Microeconomics: Auctions. Greenwich: JAI Press, 1996. Michael R. Baye and Dennis W. Jansen. Money, Banking and Financial Markets: An Economic Approach. Boston: Houghton-Mifflin, 1995. Michael R. Baye and Dan A. Black, Consumer Behavior, Cost-of-Living Measures, and the Income Tax. New York: Springer-Verlag Lecture Notes in Economics and Mathematical Systems, 1986.